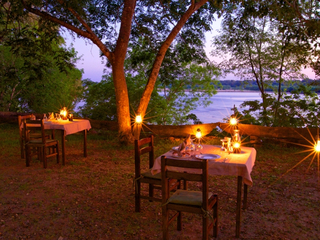 Set high on the banks of the Rufiji River in the Selous Game Reserve in Southern Tanzania, the Serena Mivumo River Lodge is a comfortable and attractive property with many modern conveniences. 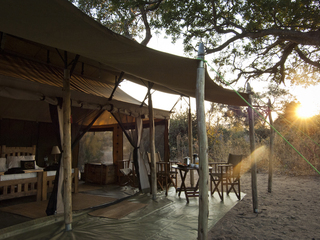 The lodge is accessible by air, a short 30-minute game drive from the Stiegler airstrip. 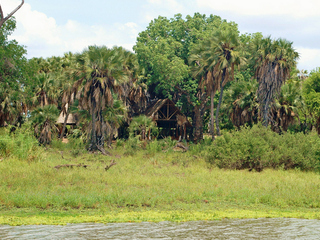 The Selous, a world heritage site, is the oldest and largest of Africa’s game reserves, with stunning scenery and a plethora of wildlife to explore, including one of the largest concentrations of elephants in the world. Mivumo’s communal areas comprise a spacious dining and lounge area interconnected via wooden walkways with the library and bar. There is intermittent mobile phone reception and WiFi is available in the main areas. 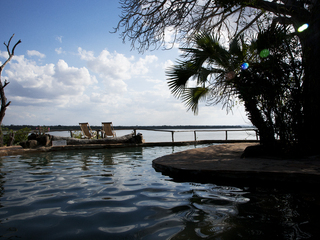 The stunning infinity pool has wonderful views of the river and its resident hippos. 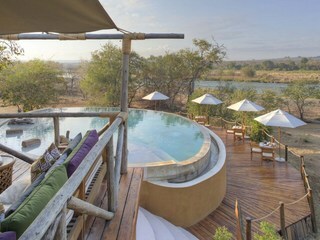 Elephants, playful baboons and fabulous birdlife can also be observed from the property’s expansive sundecks. 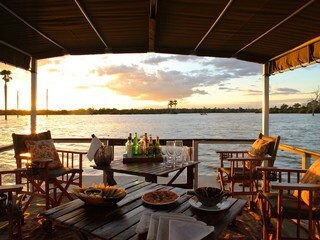 Activities include fishing, guided walks, birdwatching excursions, vehicle safaris and some of the best boating safaris in the region. 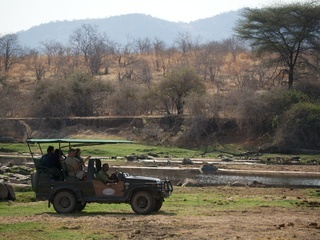 Note that the Lodge is located some distance from the main Big 5 game-viewing areas, meaning full-day game drives are to be expected. Bush picnics can also be arranged. 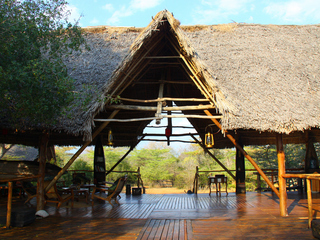 The accommodation comprises 12 air-conditioned timber chalets with glazed windows, polished wooden floors and thatched rooves. The chalets are well spaced-out along the River banks, each with their own veranda and private plunge pool. Every chalet has a large double bed and a separate bathroom with large free-standing bath, twin marble sinks, toilet, and sliding French doors leading to an impressive outdoor shower with lovely views down the river. Laundry and room service are available for all guests. The Mivumo Villa, a private suite comprising three double bedrooms with en-suite bathrooms, is offered on an exclusive use basis. 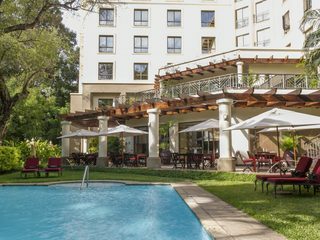 Children aged six years and over are welcome at Mivumo River Lodge. Adjoining bedrooms are available for families, and additional beds can be added to rooms for up to 2 children. Cots, child-minding services, high chairs and baby food are available, along with flexible meal times. 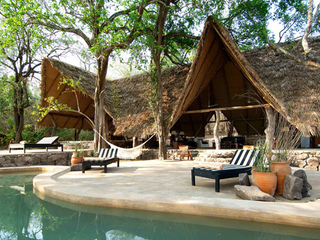 As is the case across the Selous, walking safaris are only available to children over 16 and we tend to recommend this lodge to families with older children so that nobody misses out on any part of the experience. The wild location of the lodge and the surrounding waters mean that children must remain under vigilant parental responsibility at all times. 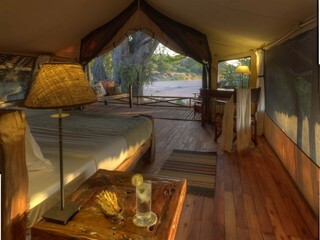 While the abundance of facilities might detract from the authentic, wilderness feel of other properties in the Selous, Mivumo River Lodge is a very good mid-range option in a beautiful and remote setting, with an unusually high level of creature comforts.